Thanks to everyone who has contributed to this website for GANDYs Everywhere. I am delighted to receive the following Awards for this site. 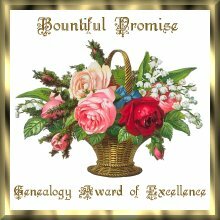 Be sure and click inside these award to view these really awesome Genealogy sites that gave US these Awards! 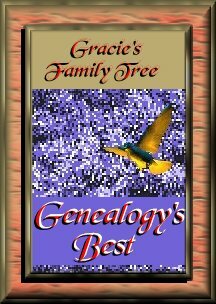 The real Reward comes when YOU are able to make connections to lost ancestors, and cousins. 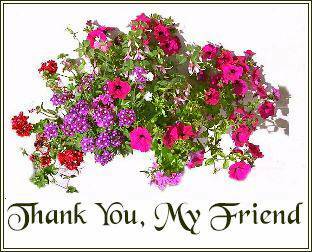 I agree with what DeWanna Lindo says "When I searched for ancestors, I found friends!" 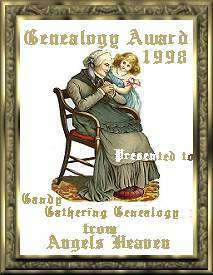 The Best Ancestor Friends have Gandy Blood!! !